Budget cuts forced Cahokia Mounds to adopt its winter schedule two months early. Since September, the interpretive center has been closed on Mondays and Tuesdays -- which could continue indefinitely. The mounds were built by the Mississippian Indians. By A.D. 1200, the site covered 4,000 acres and had developed into a city larger than London, England. Faced with declining revenue, the Cahokia Mounds Museum Society has turned to crowdfunding to raise $7,500 to print the informational brochures that are currently handed out at the world-renowned landmark, which is the largest prehistoric Indian site north of Mexico. The goal for the brochures was reached shortly after noon on Feb. 25 but has been fluctuating. About 50,000 brochures are distributed every year at the state historic site, located in Collinsville. 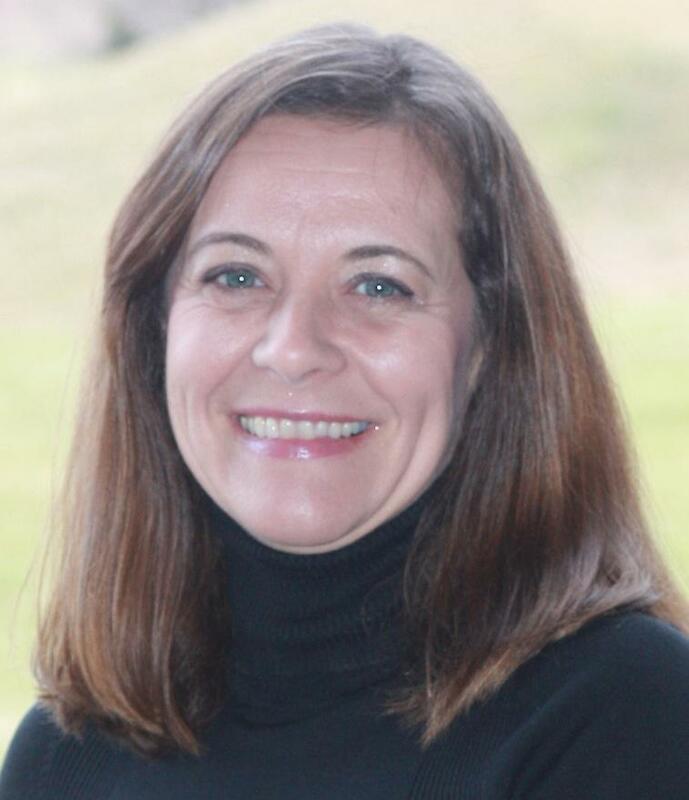 Lori Belknap, executive director of the society, says a volunteer came up with the idea for the gofundme.com campaign, and about $550 had been pledged as of Feb. 23. The society believes the brochure helps explain the significance of Cahokia Mounds and is an important takeaway for visitors. The Cahokia Mounds crowdfunding effort is another example of the impact state budget cuts are having in Illinois. When the state reduced hours at the site last September to save money, the society lost about 20 percent of expected revenue from the gift shop it operates in the interpretive center. The state funds the operational expenses of Cahokia Mounds, but the society raises about $300,000 a year to pay for activities, research and promotion of the site, Belknap says. “We provide a budget to the site manager to use at his discretion -- to meet the needs that aren’t being filled by the state,’’ she said. That includes popular educational activities like Kids Day, equinox and solstice observances, arts programs and a lecture series. The society raises funds through donations and memberships but depends heavily on gift shop sales. Though the grounds are open seven days a week, the site’s interpretive center is closed on Mondays and Tuesdays. The two-day closure is usually in effect from November through April, but the cuts forced the site to adopt its winter schedule in September, two months earlier than normal. “So instead of closing in November two days a week, they closed us in September two days a week. That cut our visitation by roughly about 20 percent for two extra months. That cripples our revenue coming in from the gift shop,’’ Belknap says. She believes they won’t run out of brochures until the end of the year, but is worried that there is no money in the budget to print more. “It means that we’ll have to come up with the money,’’ she said. “It will be a matter of cutting something out somewhere." 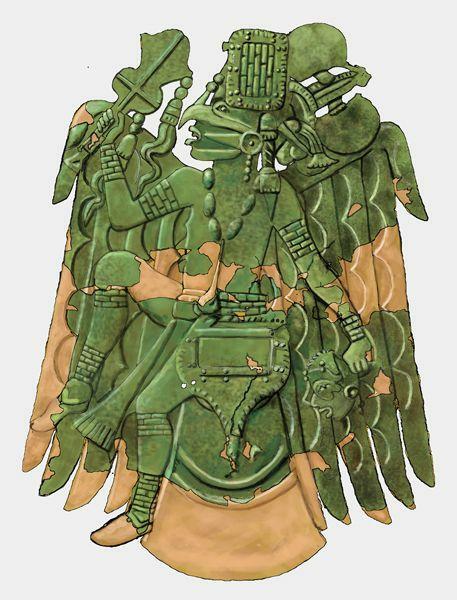 The Mississippian Indians built Cahokia Mounds, developing a city that by about A.D. 1200 was larger than London, England. Belknap says the brochures provide a detailed explanation of the earthen mounds for the site’s visitors, about 280,000 people every year. She hopes to raise enough money to fund three years’ worth of brochures. The site, which is managed by the Illinois Historic Preservation Agency, is not only a National Historic Landmark but in 1982 was named a World Heritage Site by UNESCO, the U.N. Educational, Scientific and Cultural Organization. Belknap says the worry now is that the two-day closure will be indefinite, which would cut attendance during spring and summer when many local schools and tourists visit the site. And more changes could be on the way. Gov. Bruce Rauner has proposed transferring Cahokia Mounds and other state historic sites from the historic preservation agency to the Department of Commerce and Economic Opportunity, where they would be administered by the state tourism office. “Things are uncertain. We don’t know any details yet,’’ said Bill Iseminger, assistant site manager. Rauner’s plan would also have to be approved by the state legislature, Iseminger noted. He and Belknap agree that Cahokia Mounds would benefit from more promotion by the state, which currently provides no budget for marketing. Through the years, Cahokia Mounds has been featured by the Smithsonian Institution, National Geographic magazine and cable channels like Discovery and the History Channel, but Iseminger says he still meets local residents who are unaware of the significance of the site. “I always kind of jokingly say that if we’d had a stone pyramid instead of an earthen mound people would certainly be more aware of us,’’ he said. 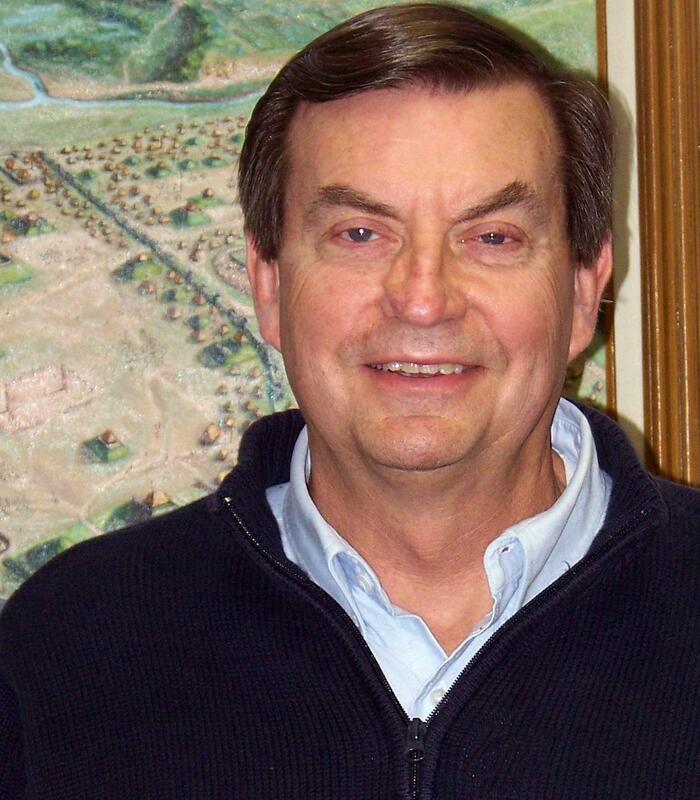 Iseminger, who has worked at Cahokia Mounds for 40 years, said the site is unique and attracts international visitors. 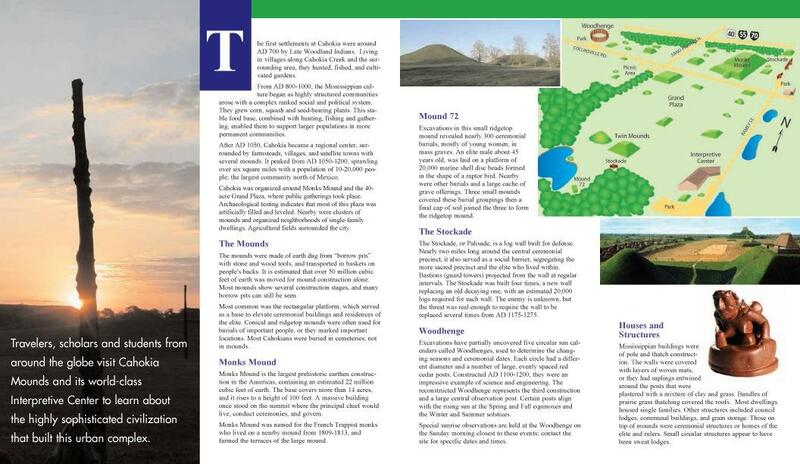 Cahokia Mounds is the only World Heritage Site in Illinois and one of only 22 in the U.S.
Monks Mound contains about 22 million cubic feet of earth -- a fact that visitors will find in the colorful brochure, along with photos and a map of the site. Iseminger says the information is an important takeaway for visitors. “It reminds them of what they just saw,’’ he said. Belknap said she understands the state’s budget constraints -- and that the historic preservation agency has a responsibility to all of the sites it manages. But she believes Cahokia Mounds is special because it's a World Heritage Site. 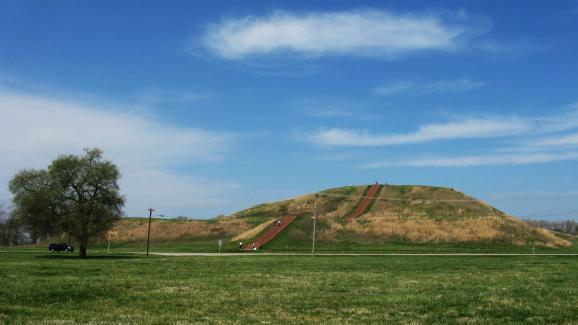 Cahokia Mounds in Fairmont City attracts a diverse group of history buffs, who are visiting one of North America’s most important historic sites, and fitness enthusiasts, who enjoy the cardiovascular challenge of the steep steps that climb to the top of Monks Mound. That is the largest of the native earthworks in the Illinois state historic site. If these stair-steppers would step a short way down the mown path that leads east from the parking lot next to the big mound, they could see history in the making – or in the rediscovering. Cahokia Mounds near Collinsville, contains mounds constructed by an ancient Mississippian people. Recent archeological discoveries made as a result of construction of the Stan Musial Veterans Memorial Bridge have highlighted the people who used to inhabit the area. A group is now trying to bolster recognition of Cahokia and the rest of the mounds by gaining some type of national designation through the National Park Service.